Build A Hard-Working Workstation With 10500 Series Laminate From Hon, Our Bestselling Desk Collection. This Three-Shelf Bookcase Is Factory-Assembled And Amazingly Strong, Ready To Handle Your Books And Reference Materials. Laminate Finish Color Is Mocha.. Build A Hard-Working Workstation With 10500 Series Laminate From Hon, Our Bestselling Desk Collection. 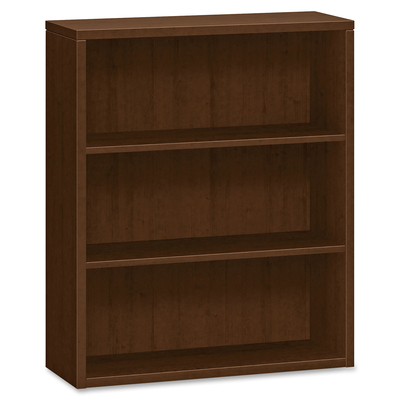 This Three-Shelf Bookcase Is Factory-Assembled And Amazingly Strong, Ready To Handle Your Books And Reference Materials. Laminate Finish Color Is Mocha.